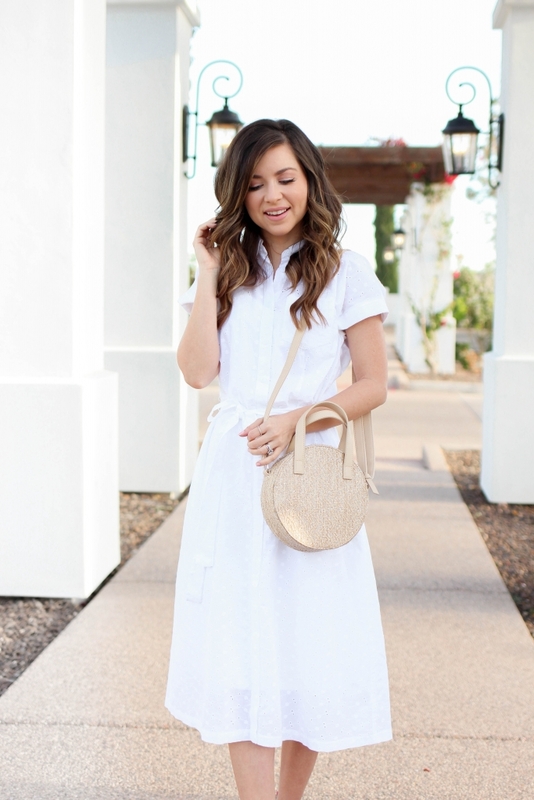 The temperature is heating up here in Arizona and one thing I’m reaching for a lot of is breathable cotton clothing! There is nothing worse than wearing clothing that can stick to you and make you feel super uncomfortable! I’m so excited that today I’m sharing some of the best affordable cotton clothing in partnership with Walmart. You guys are going to love all the pieces I found! There is always something nostalgic to me when it comes to cultivating new pieces for my spring wardrobe. I always seem to find myself going for pieces that are breathable but feminine and at the same time can easily be incorporated into my everyday life. The cotton dress that I’m wearing today is under $30 and comes in a few other prints as well. What I love about this cotton dress is that even though this looks polished it also is moveable and soft allowing me to wear it all day long. With my job sometimes I’m out running errands, working from a coffee shop or working from home creating content so items like this come in handy. 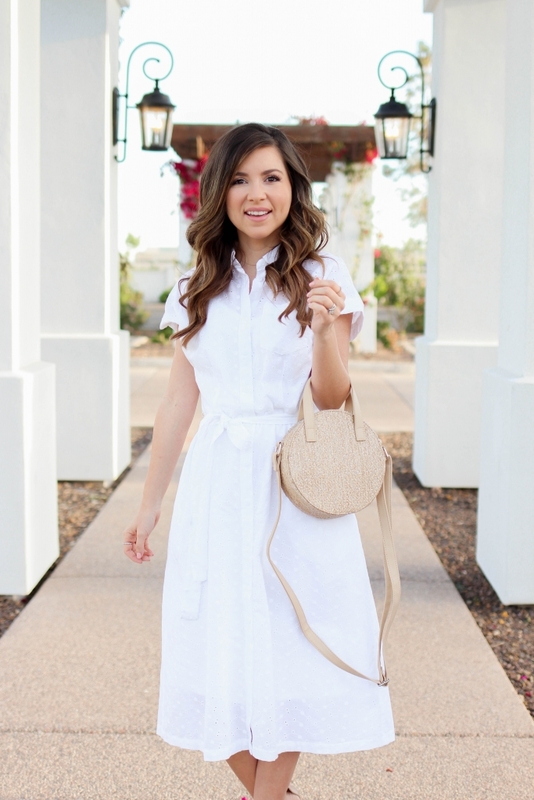 If you are looking for more items like the dress and bag I’m wearing you are in luck because, Walmart has a great selection of affordable cotton dresses, tops and more! Not just for women either for the entire family! I went ahead and linked my favorites women finds for you below. Just click and shop! 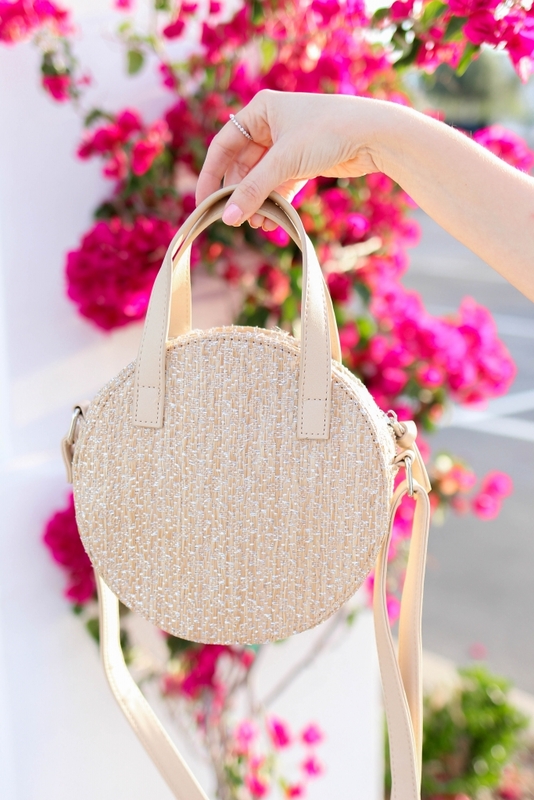 Now that you have your Walmart cart filled with some of the cutest pieces where are you going to go with them? I’m thinking a patio brunch or a shopping day with my mom! She also has this dress by the way in white and multi stripes. I mean when it’s good it’s good! Thank you all so much for reading today’s post! Thank you to Walmart for sponsoring today’s post. As always all thoughts and opinions are my own.